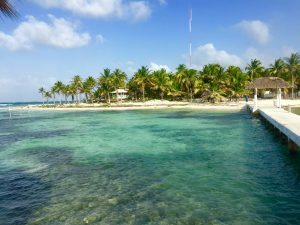 Casa Blanca, Ascension Bay Mexico. 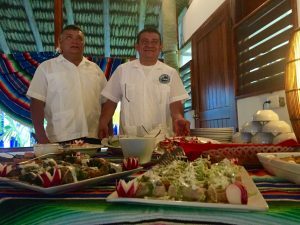 Casa Blanca is hands down one for the most beautiful and well appointed lodges in the world. From the landscaping, spacious rooms with ocean views, 5 star cuisine, and staff everywhere to take care of your every need is just the start. The 5 star experience starts as soon as you land at the Cancun airport. You will be greeted by a representative for the lodge. They will lead to your driver that will take you to the private aviation terminal where you will board your private plain for the short 30 minute flight to the lodge. Staff with warm hand towels and cold margaritas will be waiting. 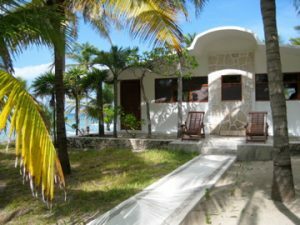 Situated on the northern most tip of Punta Pajaros you are only a couple minute boat ride from the famed waters of Ascension Bay. Dolphin super skiffs are the boat of choice for Casa Blanca. These shallow draft skiffs are quiet in the water, comfortable, and very stable casting platforms. They allow fast access to all parts of the bay and surrounding creeks and bays. Ascension Bay is truly one of the best Super Slam locations an angler could ever hope for. 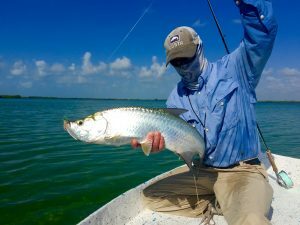 Bonefish, tarpon, permit, and snook swim these waters in large numbers and size. Baby tarpon 10-30lbs are abundant however, 100+lbs tarpon also call these waters home if you are inclined to tangle with the Silver King. 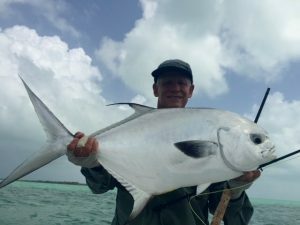 The number and size of permit that inhabit Ascension Bay is mind boggling. 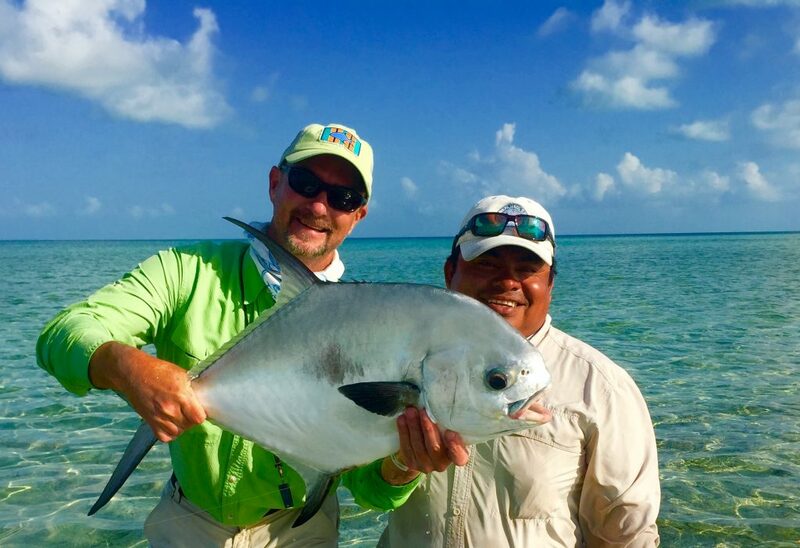 Not only are there large numbers of permit, they are often all to happy to eat a well placed fly. 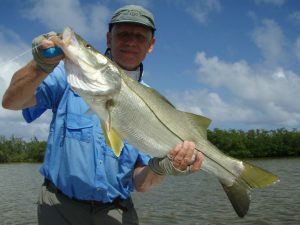 Snook lurk in the back bays and tight to the mangroves. 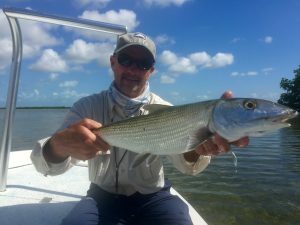 Due to band on netting the size of the bonefish has really improved over the last few years. There are some great deals on flights for January and February to get you to this amazing lodge/location. American from Dulles, American from Richmond, Delta from Richmond, Delta from Dulles. If you’d like to take advantage of these great rates, give us a call. As always, book any of our destinations and receive 20% off any gear or apparel you may want or need for your trip.